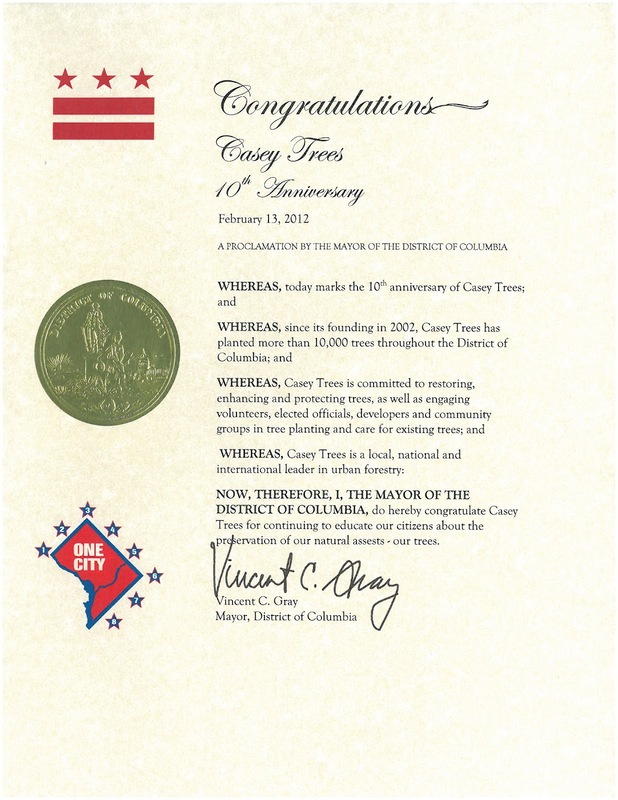 Tree Speak | Casey Trees: Mayor Gray Issues Proclamation Congratulating Casey Trees on 10 Years of Service to D.C.
Mayor Gray Issues Proclamation Congratulating Casey Trees on 10 Years of Service to D.C. Ten years ago today, Casey Trees opened its doors with a clear mission - restore, enhance and protect the tree canopy of the nation's capital. Together we have planted more than 10,000 trees across the District, educated thousands of adults and youth alike, tracked the health and condition of trees and worked with elected officials, designers and builders to protect existing trees and create spaces to sustain large healthy trees. Become a Tree Champion today and we can do more. Tree Champions provide Casey Trees with a reliable stream of financial support that enables us to make our trees through our Community Tree Planting program available free of charge to worthy groups and institutions. For a limited time, our friends at Bare Tree Apparel are thanking individuals like you who become a Tree Champion at the $25 a month level by sending them a hand printed "Plant a Tree" tote. Take satisfaction in knowing that over the course of a year, your monthly gift will sponsor the planting of a single tree and that you will be planting the seed of environmentalism in the mind of every person that sees you carrying your tote. Pledge to be a Tree Champion today. 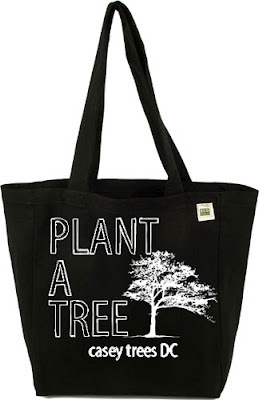 Hurry, only the first 50 new Tree Champions are eligible to receive a "Plant a Tree" tote.